Firewatch, a genre defying adventure(ish?) 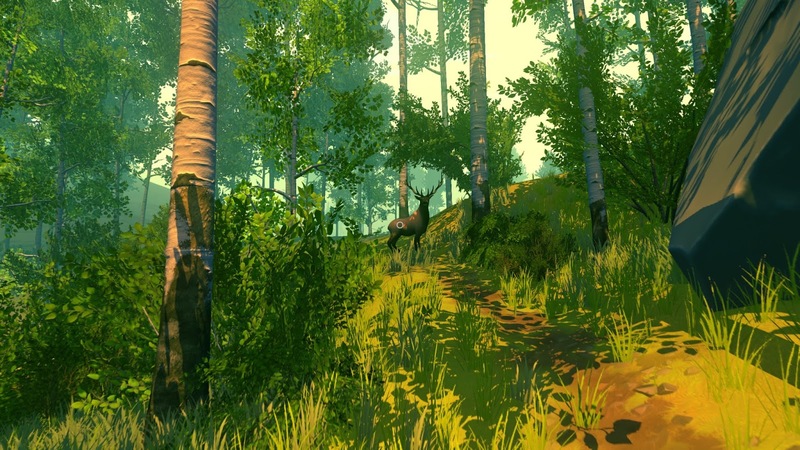 game from Campo Santo is a beautiful, emotional journey. I played Henry, a middle aged man who takes a summer job working in a fire watch station in Wyoming. Between exploring the wilderness, yelling at drunken campers, talking to my boss, and watching for fires, a story as engrossing as the beautiful scenery unfolded. The opening minutes of Firewatch set up Henry's backstory. A series of scenarios played out through text told me about how Henry met his wife and their life together, occasionally asking me to choose between a couple responses. I was really drawn in. Funny, heartwarming and tragic, I was really struck by how grounded the options were. 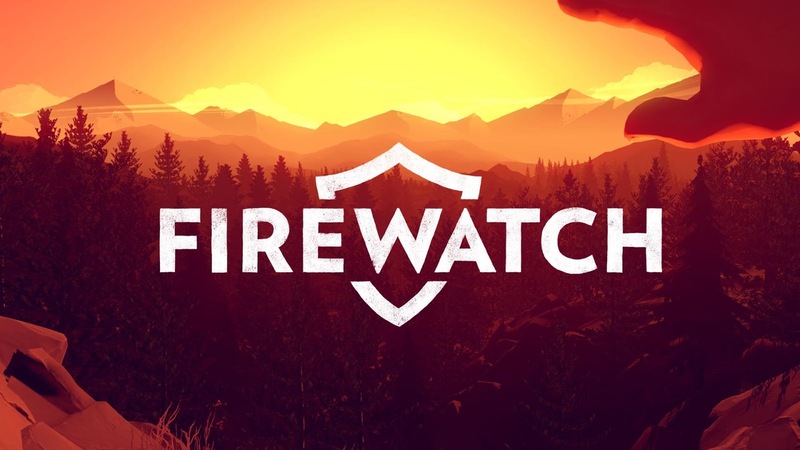 Unlike so many games that offer stark good and bad choices for a character, Firewatch never allowed me to make choices that represented the best/worst version of myself. I was forced to be Henry, who was flawed and average, not the typical infallible hero. From there, the black screens gave way to gorgeous forest, with red bluffs and beautiful sky. The art in Firewatch is simply stunning. Each day in the park brings a new color palate. The bright greens and yellows of mid-day give way to the deep oranges and reds of dusk and finally the rich blues and greens of night. After dealing with severe forest fires in our area last year, the attention to detail of the approaching wildfire was almost too much for me. The thickness to the air and that eerie haze were captured perfectly. I could swear I smelled the smoke while I played. 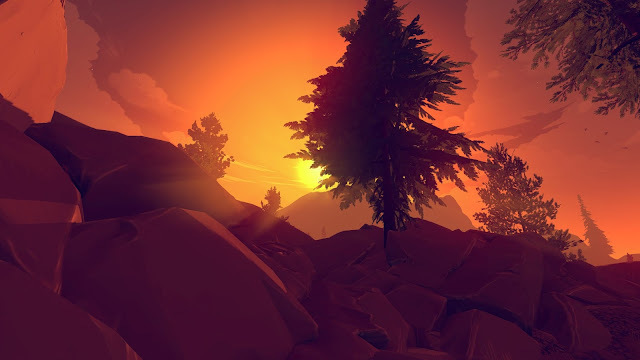 With visuals that vivid and alluring, it would have been easy for the developers to lean more on them for the narrative, but as beautiful as the scenery is, the voice acting is the real treasure of Firewatch. Most of the dialogue is played out in radio chatter between Henry and Delilah. Major plot points are mandatory, but I was otherwise free to choose when to talk to Delilah. Having that control over my responses helped me feel closer to the story Those conversations form the bulk of Henry and Delilah's relationship as the game goes on and the dynamics that emerge are expertly written and acted. I have to say, Delilah is one of the best acted characters I've encountered in games lately. Firewatch encouraged me to find my way through the forest. Most of the tasks in the game started with Delilah giving me a location to get to. Sometimes it was nearby, but some of them were well across the game map. By default, the map showed my location as a little dot. I understand that some chose the more immersive route by disabling that feature. I did not. I am notoriously map blind, and so relied heavily on the aid of that little blip. However, I still got turned around a few times. This is why I should not be alone in the forest. Not all was beautiful sunsets and witty banter in the park. Very quickly, strange things started to happen and I quickly came the conclusion that Delilah and I were not alone. I won't elaborate in order to preserve the story for our readers, but I was enthralled right up through the end. I've read other reviews saying that Firewatch is a game about the surveillance state and how people's trust in each other can erode in the face of suspicion. 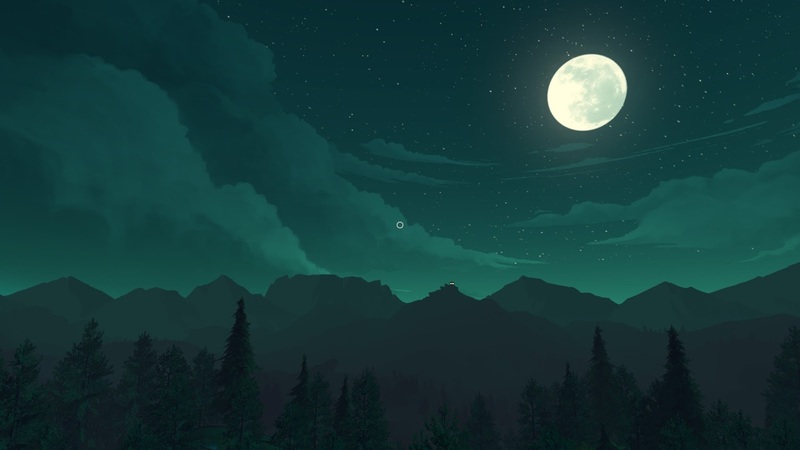 While I agree that there are elements to the story that lean in that direction, in the end, Firewatch is a game about confronting the parts of you that you hate most. It is a story about people running away from something but makes it clear that we take the weight of our burdens, mistakes, and failings with us no matter the distance or anonymity.